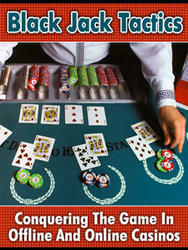 Because of my familiarity with the game, the requirement list for the Blackjack game was relatively easy to compile. Due to project length, I did not add many of the rules normally found in Blackjack such as doubling down, splitting, insurance for dealer blackjack, and so on. If you are unfamiliar with these features, you can find descriptions in the challenges at the end of the chapter. It would be great practice for you to add some of these features to the game. 1. The program interface shall be split between a worksheet and a VBA form with the form simulating the game board and the worksheet storing the results of each hand. 2. The form shall be displayed when the player clicks a Command Button located on the worksheet that stores the results of each hand. 3. The game shall begin with the shuffling of the deck when the player clicks a Command Button located on the form. 4. When the cards are shuffled, a second form shall be momentarily displayed indicating that the cards are being shuffled. The code that simulates the shuffling shall be executed at this time. 5. When the cards are shuffled, the program shall play a sound file suggestive of a deck being shuffled. 6. The game shall simulate shuffling between one and three decks as selected by the player. 7. The program shall run the shuffling simulation whenever the player changes the number of decks used in the game. The default number of decks shall be one. 8. The player shall be able to place a bet on each hand only before the cards are dealt. 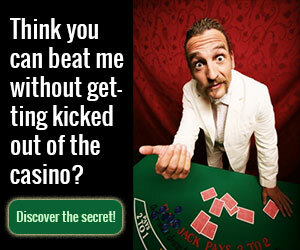 The player can choose an amount for the bet from a list of choices or enter their own. The default amount for a bet shall be two dollars. 9. Dealing a new hand shall be triggered from the click of a Command Button control. 10. Whenever cards are dealt, the program shall play a sound file suggestive of a card being flipped from the deck. 11. When a new hand is dealt, the program shall simulate dealing two cards each to the dealer and player. The first card dealt to the dealer shall be face down. 12. Cards shall be displayed to the player as images using a set of 53 bitmaps (52 for the deck and one for the deck's back). 13. The player's hand shall be automatically scored by the program and the result displayed after the first two cards are dealt. 14. The player can choose to stand at any time after being dealt the first two cards from the click of a Command Button control. 15. Additional cards shall be drawn by the player (one at a time) from the click of a Command Button control. The player's score shall be updated after each draw. 16. Face cards shall count as 10 and Aces as one or eleven. All other cards shall count as face value. 17. The dealer's and the player's hand shall not exceed five cards. 18. After the player chooses to stand, the program shall display the dealer's hidden card, calculate and display the dealer's score, and simulate the dealer's play based on the following rule: the dealer must draw another card while its score is fifteen or less; otherwise, the dealer must stand. 19. The program shall evaluate the dealer's and player's scores and display a message indicating the winner, or push if it's a tie. 20. The program shall calculate and display the player's balance from the amount of the bet and the result of each hand. 21. The program shall output the result of each hand to the worksheet. The result consists of the dealer's and player's final score, and the player's new balance. 22. The program shall allow the player to quickly clear the results from the worksheet from a click of a Command Button control located on the worksheet.